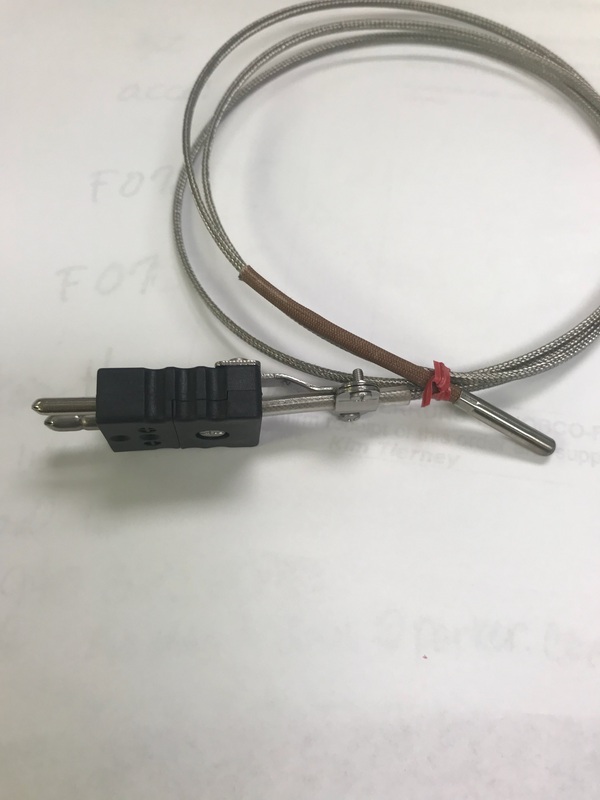 25634 Type J Thermocouple, Ungrounded, 1" long Probe Tip With Two Prong Plug, Stainless Steel Overbraid, 48" Long. Cable clamps, extra sleeving added to improve durability where plug and probe are attached to the thermocouple. Call Jobco at 479-424-1300 if you need other sizes or design modifications.